Many brides show me photos taken from the web or from the social media of the hairstyle that want for their wedding in Venice. And at least half of the time they show me a bridal half updo with curls or waves. This hairstyle is achievable on long hair, but if the bride does not have them, clip-in hair extensions are the best solution !! 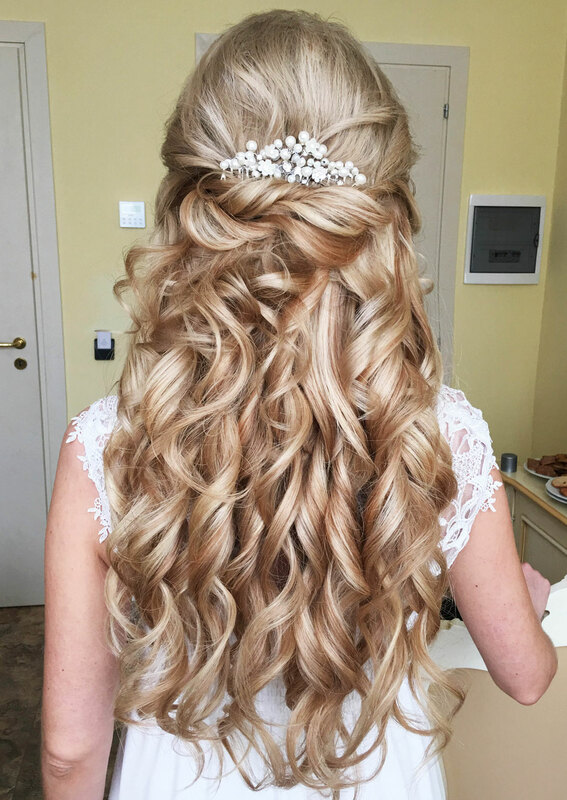 The client in the photo, who got married in Venice last week, and strongly wanted me as her hairstylist, had her hair at shoulder lenght but she bought some wonderful lip in hair extensions and it was possible to recreate the required look. The extensions must be made of real hair otherwise is not possibile to style them. Hope you like this hairstyle made by me!